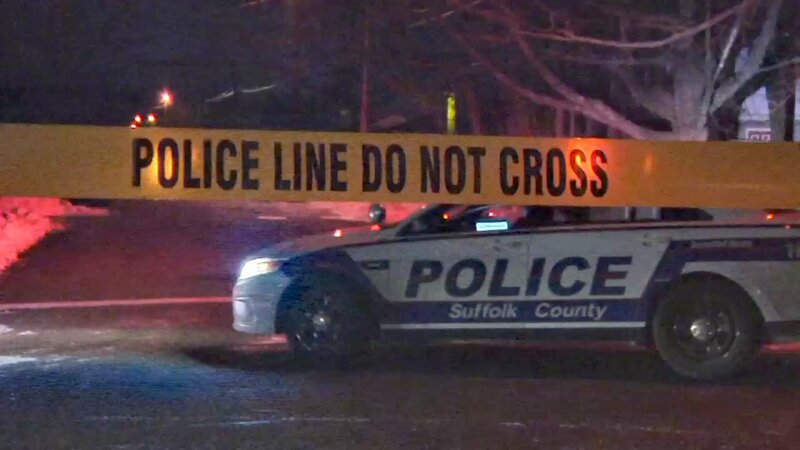 NORTH AMITYVILLE, Long Island (WABC) -- Suffolk County Police Homicide Squad detectives are investigating a shooting that killed one man and injured another in North Amityville Thursday morning. Officers responded to Glenmalure Street at 2:17 a.m. after a 911 caller reported a possible shooting. When they arrived, they discovered two men had been shot in the street. One victim, 21-year-old Malik Abdullah, of North Amityville, was pronounced dead at the scene. The other victim, a 21-year-old North Amityville man, was transported to an area hospital with non-life-threatening injuries. Detectives are asking anyone with information on the shooting to contact Homicide Unit detectives at 631-852-6392 or call anonymously to Crime Stoppers at 1-800-220-TIPS.